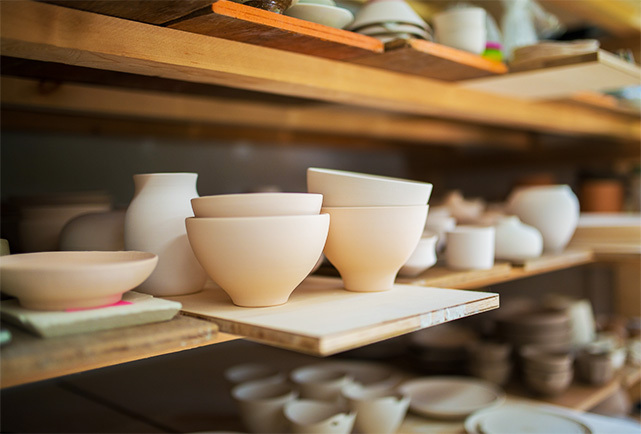 The lesson of making a plate using a potter’s wheel and of drawing are available at studio. Do not hesitate to join us if it is the first time for you. Teachers help you anytime. Please feel free to get in touch with us. 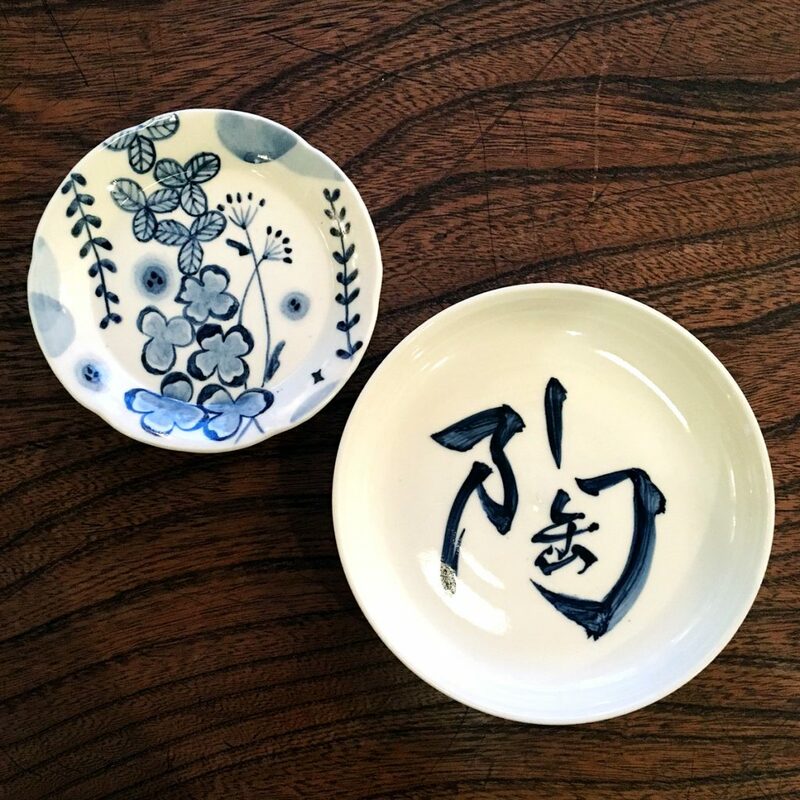 Create original plate by freely drawing with five colors; red, yellow, blue green, green and purple called “Gosai” of Kutani pottery. 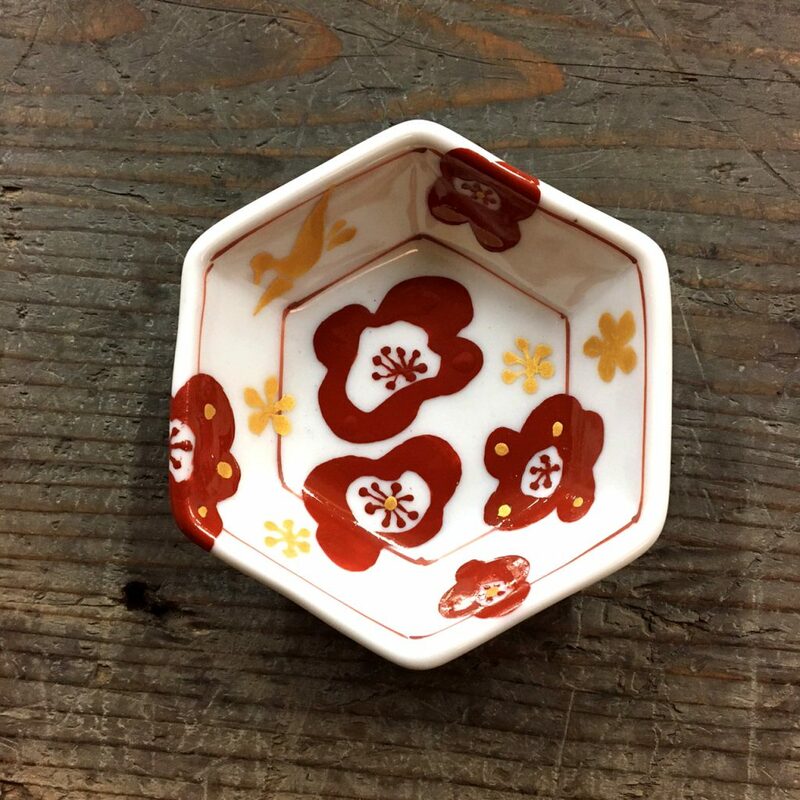 The method of glazing called “Uwa-etsuke” is taught in this lesson. 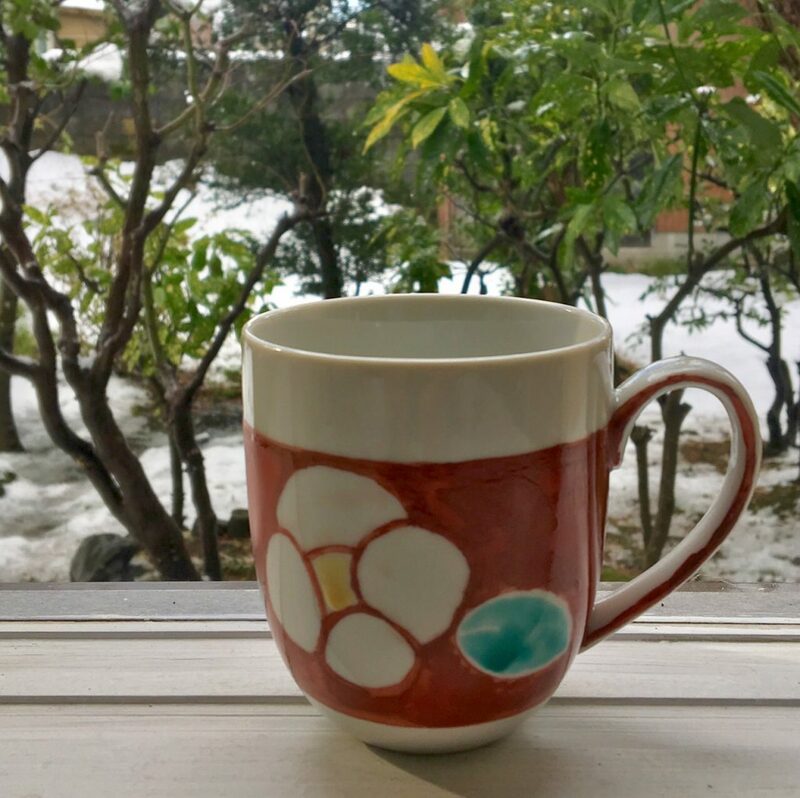 Colorful Kutani pottery is good for suvenior. 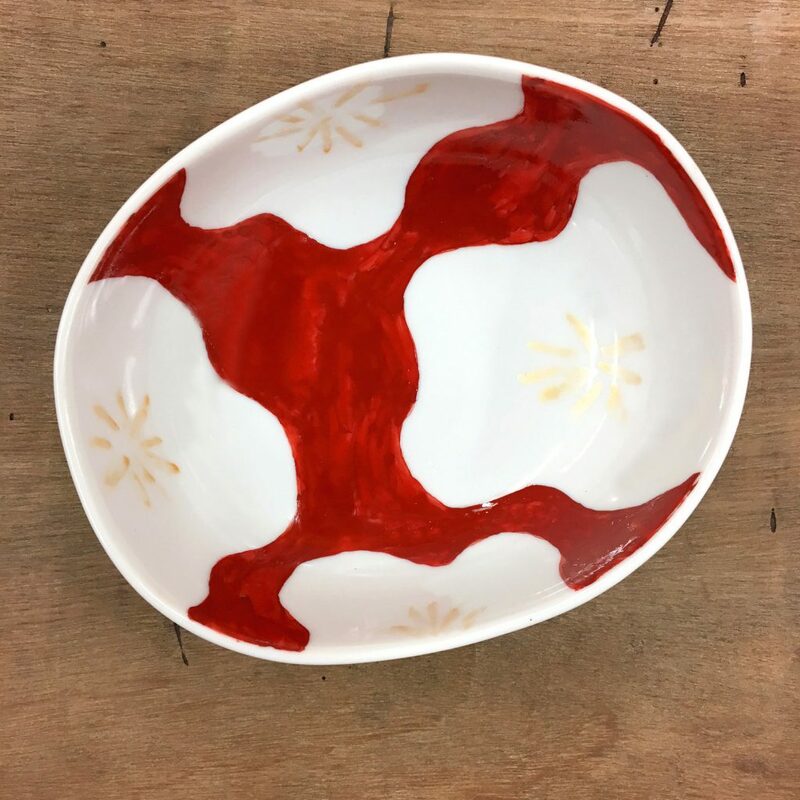 Create original plate by freely drawing with red and gold, traditional color of Kutani pottery. 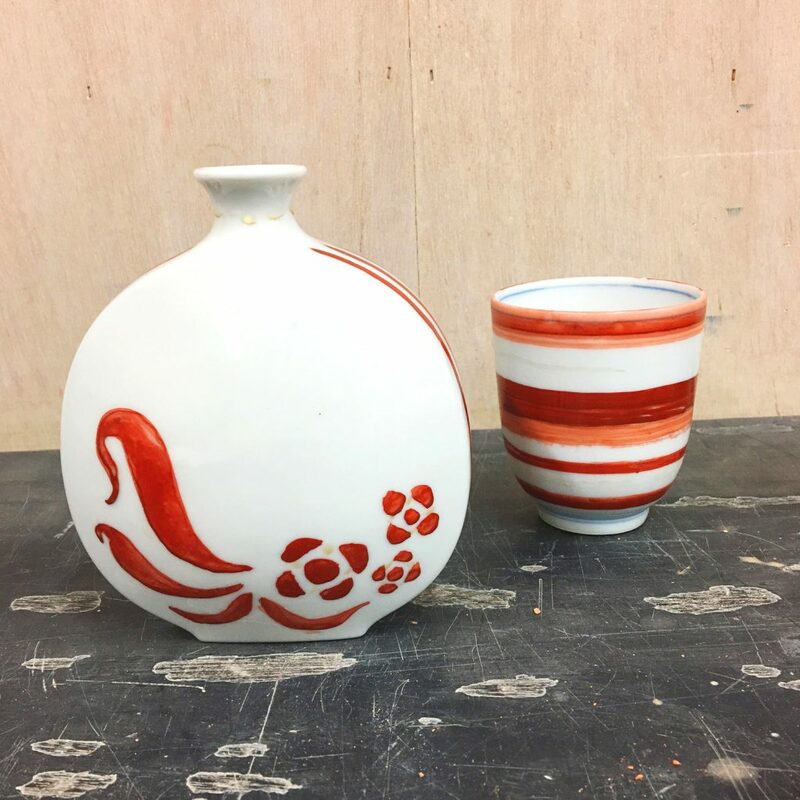 The method of glazing called “Uwa-etsuke” is taught in this lesson. Guests can make gorgeous plate all lines are drawn by the two colors. 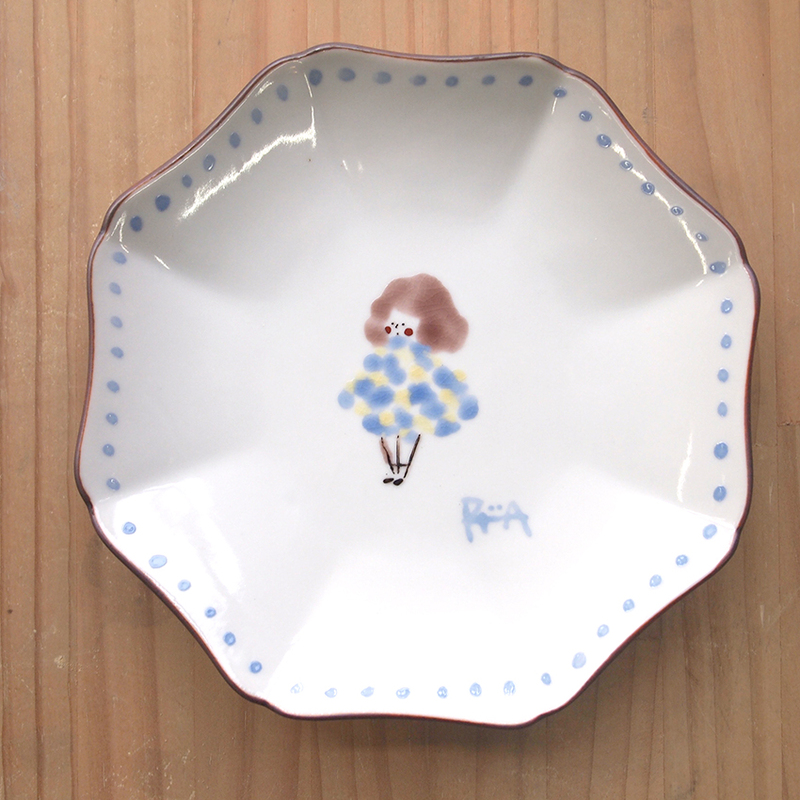 Create original plate by freely drawing with a blue color only. 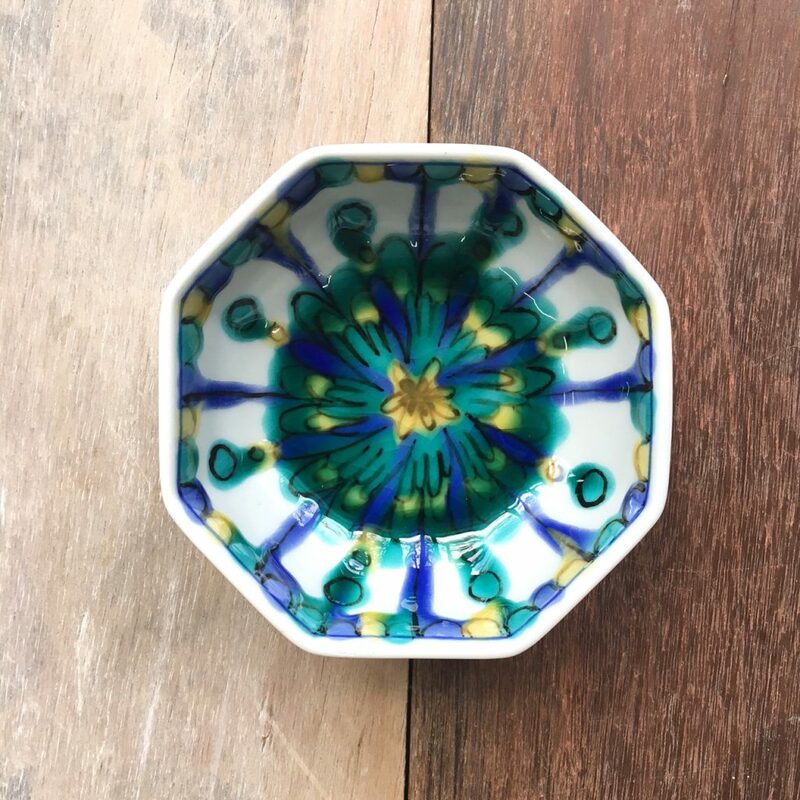 This kind of ceramics is called “Ai-Kutani (Blue Kutani)”. 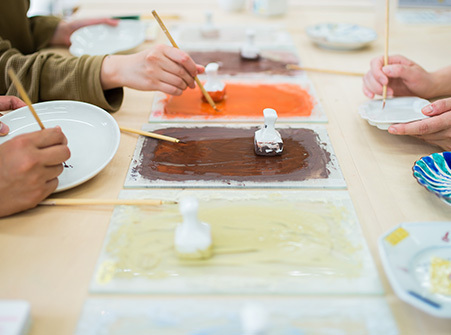 The technique called “Sometsuke” to draw using the pigment called “Gosu” and represent by shading of color, is used in this lesson. Guests can make a sophisticated beautiful plate. Create original large sake cup, mug, rice bowl, and plate by using “automatic potter’s wheel” which moves by pedaling. Guests can make a symmetric plate easily. 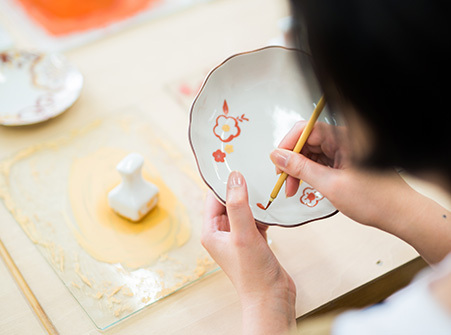 Create original accessories made with original Kutani pottery beads, utilizing paints and clay used in Kutani pottery - one of the most famous traditions in Ishikawa Prefecture. 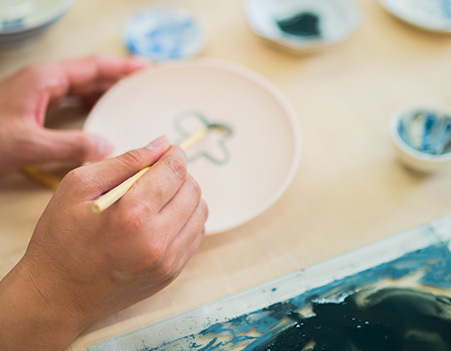 Guests can select their favorite parts and designs, which our staff will glue together, and provide as finished items within about 30 minutes. No reservations are necessary, and the process can be done on the spot, so please feel free to drop in. Highly recommended as a souvenir or gift. 1. Select an accessory foundation and beads. 2. Please inform the staff what design you would like. 3. If you have metal allergies, we have resin posts available.As we use very strong adhesives, allow 24 hours before usage. 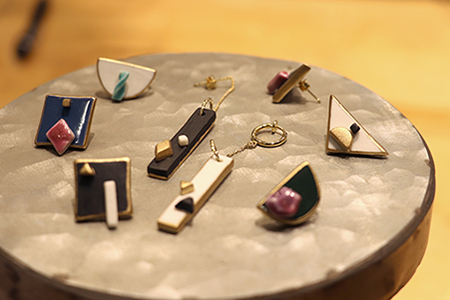 ※In addition, guest can make ring, brooch, cuff Links, sash clip, hatpin, hair accessories,etc. “automatic potter’s wheel” (1,000 yen per extra one) will be charged separately. or e-mail by the previous day of the date. 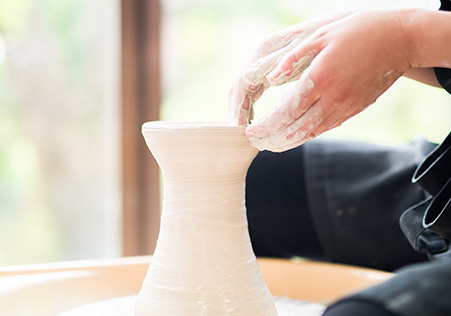 It takes about two months to complete a guest’s pottery work. We will send the work after firing and finishing. Note *Apron and slippers are prepared at the studio. *Children of six years and above can join lessons. *Guests can join lessons any number of times. *We can accept the number of people one to twelve. 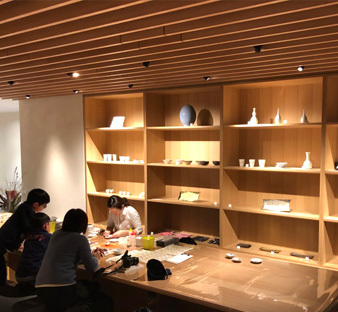 We take a ceramics class at Hotel Uan Kanazawa. 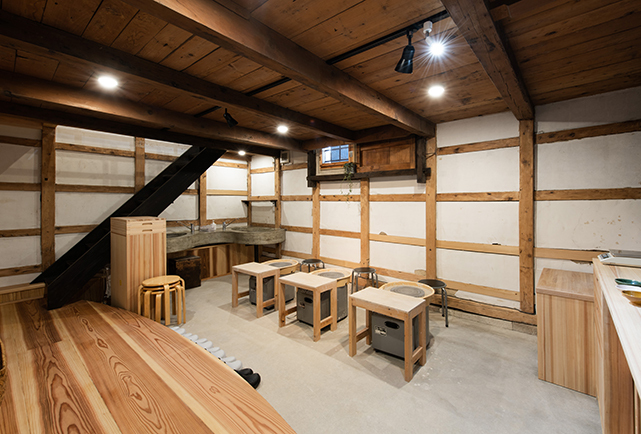 The hotel hopes guests enjoy staying in Kanazawa, where it rains often. 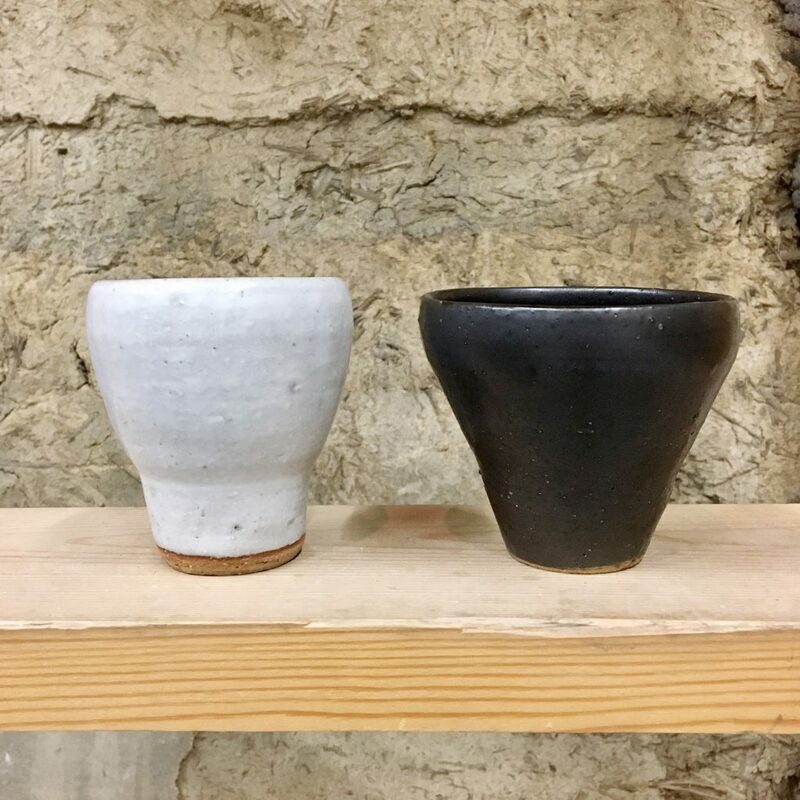 Guests can go through various experiences inside the hotel such as drinking sake at a bar and eating soba.When the ceramics classes are fully booked at creava, we take another class there twice a month. Please join us with staying the hotel. Please contact to the hotel for reservation.